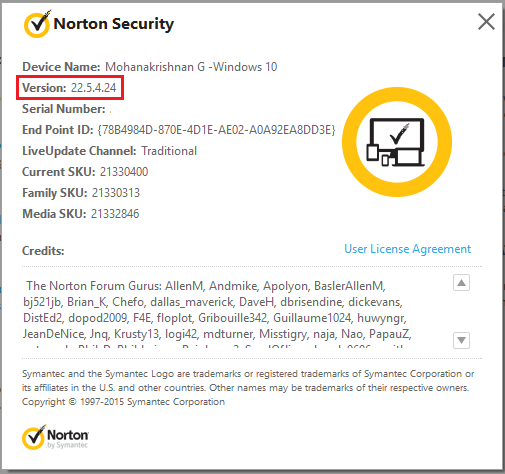 We have completed testing our latest update of Norton Security, Norton Security with Backup, Norton Internet Security, Norton 360and Norton Antivirus 22.5.4 and have released the update. As with our previous updates, this version is being released in a phased manner. This update is available for ENGLISH only. To download it, simply run LiveUpdate. The version number is 22.5.4.24. This update is currently available via LiveUpdate only. For more FAQ's and list of Fixes, Please see the Norton 22.5.4 Product Update available now Product Update Announcement blog for more info.